"McGREGOR HAS LONG HAD A TALENT FOR EXPOSING HIS AUDIENCES TO WORLDS THAT MOST OF US COULD ONLY EVER DREAM OF - AND NOW HE'S GIVING US THE KEY TO INHABIT THEM. A REMARKABLE STEP INTO A NEW FRONTIER"
A unique experience, +/- Human fuses an immersive installation with incredible live dance and music performances. 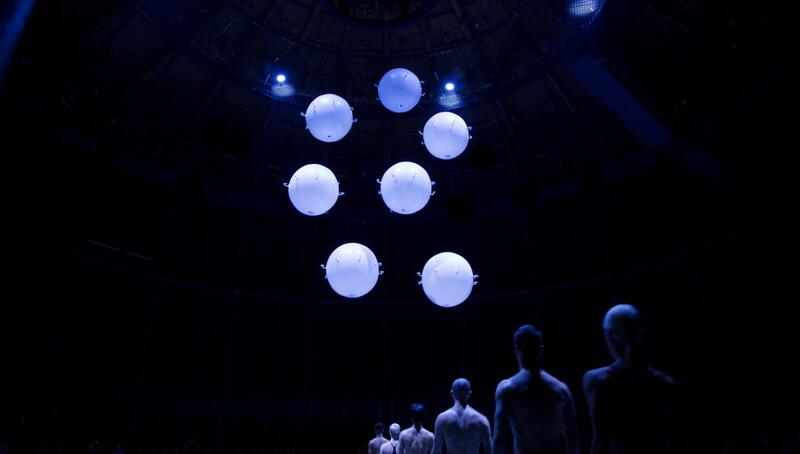 Created in response to the magnificent space of the Roundhouse +/- Human brought together multi award-winning choreographer and director, Wayne McGregor, with contemporary art collective Random International, creators of the globally successful Rain Room, along with new music from Warp Records. +/- Human was produced Bloomberg Summer at the Roundhouse, an annual season dedicated to introducing new audiences to innovative culture. How do you know that something is alive? Created specifically for +/- Human, Random International’s Zoological is a mysterious flock of flying spheres that surrounds visitors. Step inside and experience how they interact autonomously with humans and move together in this meeting of technology, bodies and electronic music. 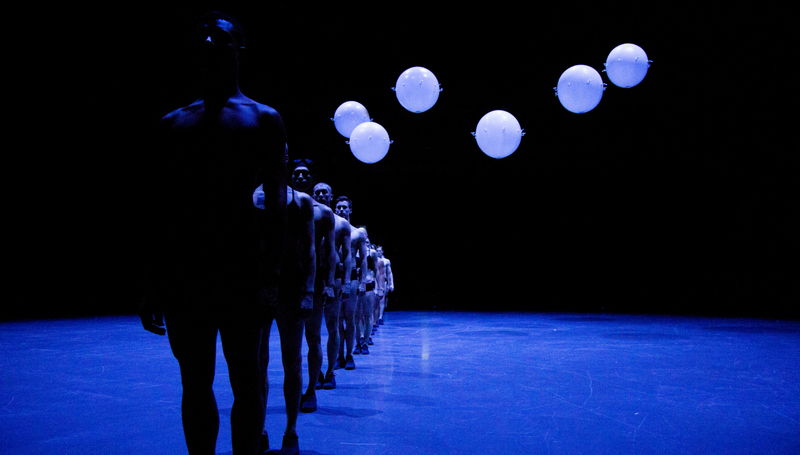 On Friday and Saturday nights during the three week residency, +/- Human hosted new dance performances choreographed by Wayne McGregor. 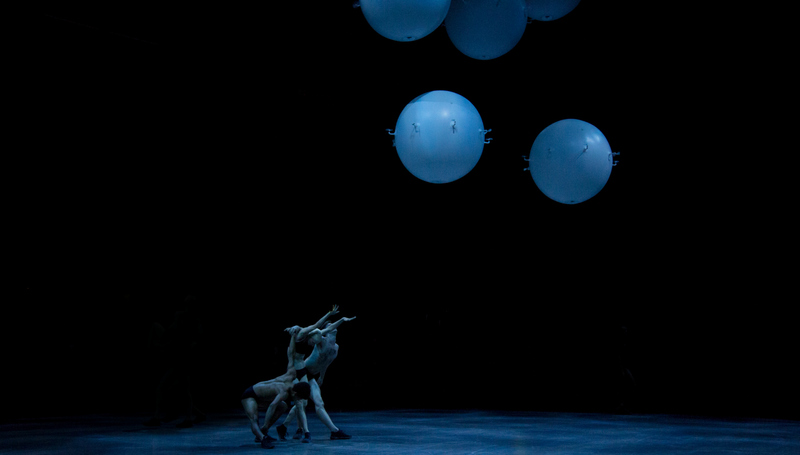 Lurching through extreme sonic worlds specially created by Warp Records artists, the spheres’ behaviour converged with human movement to create an immersive choreographic experience performed by dancers from Company Wayne McGregor and The Royal Ballet. +/- Human is curated by WAYNE McGREGOR, Zoological art installation by RANDOM INTERNATIONAL, lighting by LUCY CARTER, sound by MARK PRITCHARD, dance performances choreographed by WAYNE McGREGOR and performed by COMPANY WAYNE McGREGOR and dancers from THE ROYAL BALLET, music by WARP RECORDS. Commissioned by Roundhouse with support from The Royal Ballet. Produced by Roundhouse and Studio Wayne McGregor. Images: Ravi Deepres and Alicia Clarke.